Kovalam is not just a paradise for beach lovers but it has a lot more to explore. This is one of those places in Kerala which has something for everyone who drops here. Kovalam has lots of pilgrimage centers and thus this can obviously be an ideal destination for pilgrims all around the world. In Kovalam, you can see sacred shrines of almost every religion. 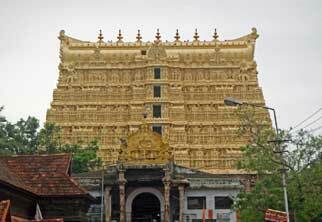 Even though there are lots of pilgrim centers in Kovalam, the center of attraction here is the Padmanabhaswamy Temple. 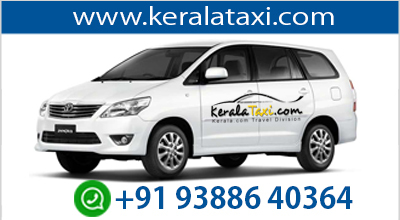 It is located at a distance of 16 km from Kovalam in the Anantha city. This temple is one of the most important sites for anyone who is on a pilgrimage. The very first view you get is a kalvillaku which is to be kept glowing always. Kalvilakk is a body made of rock which contains oil and it is illuminated by burning a wick. As lots of visitors flow towards the temple, you will have to stand in a queue to get inside. As you enter inside you will see a statue of Lord Hanuman. The specialty of all deities here is that they are carved out from a single rock. On the walls of this temple which is made of rock, you will see lots of works which depict various incarnations of Lord Vishnu and incidents from Hindu mythology. You may seek the help of well trained guides here who will explain to you history of the temple and alleviate all your doubts. There is a lot to see and study here in this temple but the only agony is that cameras are not allowed inside. The main deity of the temple, the reclined position (or anantha shayanam) of Padnabhaswami lie at a small height above the ground level. The door of temple is split into three and the reason for this is scientific as well as interesting. It is said that the grandeur of the deity is divine to such as extent that the entire view of this deity would not be perceivable by normal human eyes. So, you will see the deity as three parts separately- the head, body and feet portions through separate doors. The underground cellars in this temple hold priceless gold, rare antiquities and jewels which are being preserved here since centuries. In the temple premises you will see lots of local vendors selling deities and pictures of Hindu gods, especially of Lord Vishnu. Another attraction near to this temple is Horse Palace towards south eastern part of the Padmanabhaswamy Temple. This is mostly a wooden palace built in the traditional Kerala style architecture. The palace built in 1840s was the result of continuous hard work by 5000 workers for a period of 4 years. At a walking distance from Padnabhaswamy temple, is the East Fort Ganapati Temple This is one among the most famous temples of Lord Ganesh in Kerala. Here the main deity is a small idol of God Ganesha sitting with his right leg folded. Many other deities can also be seen in this temple which includes the idols of Goddess Durga, Lord Ayyappa, Brahmarakshas and Nagaraja. Inside the temple you will see the amazing painting of all 32 appearances of Ganesha. Devotees can buy coconuts from here and the belief is that breaking them in this temple will remove obstacles in your path. The temple is presently maintained by the Indian Military. Aatukal Bhagavati Temple at a distance of nearly 3 km from Padmanabhaswamy Temple is famous for the Aatukal Pongala annual festival held here. The main fact to mention is that Aatukal Pongala holds the Guisness World record of being the festival which witnesses the largest crowd of women. In this temple the idols are mainly of goddesses and all the idols here are brightly colored. 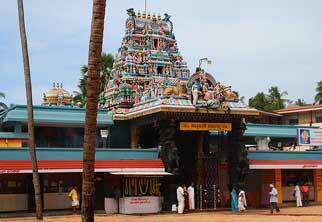 Attukal Hanuman Temple is another temple famous here. The only temple dedicated solely to Lord Parasurama is Thiruvallam Parasurama temple which is 2000 years old and at a distance of nearly 9 km from the Kovalam beach. Parasurama is an epic hero in Hindu mythology who is believed to be the creator of Kerala. The temple is managed by Travancore Devasam Board and is regarded as a protected monument under the Archeology Department. There are also lots of Churches to visit in Kovalam which adds another element of interest in any Kovalam pilgrim tourism. St.Joseph's Metropolitan Cathedral is one of the most renowned churches here at Palayam. Initially the Church was built as a Parish Church in 1873. The next phase of extension took place n 1912. A set of three 'Do-Re-Me' synchronizing bells which arrived from Belgium were installed here. Currently the Church holds the status of Metropolitan Cathedral. Other famous churches here are Christ Church, aslayam LMS Church, Palayalam Lourdes Church and Jn. Pentacostal Church. Charachira Jama Masjid, Palayam. When it comes to mosque, Beemapally is the most famous one. This houses the burial place of Syedunisa Beema Beebi who was actually a Muslim woman with divine powers. The tomb of her son, Syedushuhadamaheen Abubakrer is also situated here. o memorize the lady, Beema Beevi, a festival is conducted here annually. At that time pilgrims belonging to different cast and creed visit this mosque. Chandanakudam festival is the main festival celebrated here and this is a 10 day long festival. This colorful festival also known as Beemapalli Uroos marks the death anniversary of Beema Bheebi. The celebration marks its beginning with the hosting of traditional flag. The devotees take pots filled with money and beautified with flowers. As sandal paste is spread on the pots, these pots are known as Chandanakudam. A white cloth is used to cover the cavity of the pots. Also at the neck of pots, a garland is tied. There are lots of small shops around Beema mosque from where you can get many articles and gadgets at a cheaper price. 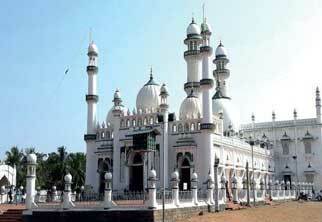 The other famous mosques here are Moyuddin Mosque, Vizhinjam. Thampaanoor Hidayathul Islam Madrasa is another place here which you should not miss on your Kovalam pilgrim tourism.In Kovalam, the good news is that almost all pilgrim centres allow people from every caste.